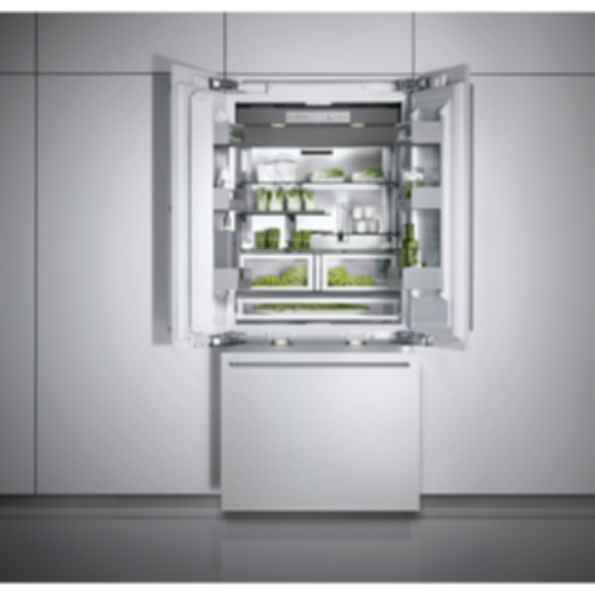 Bottom freezer 400 series RY 491The RY 491 combines all the benefits of the new Vario 400 cooling series in one two-door appliance. Above classical refrigeration, below the freezer drawer. The stainless steel interior is uniquely attractive and hygienic. The shelves are made of safety glass and can be positioned individually to ensure optimum utilization of space. Dynamic cold air distribution ensures uniform temperature distribution throughout the cooling compartment with precise, constant temperatures.